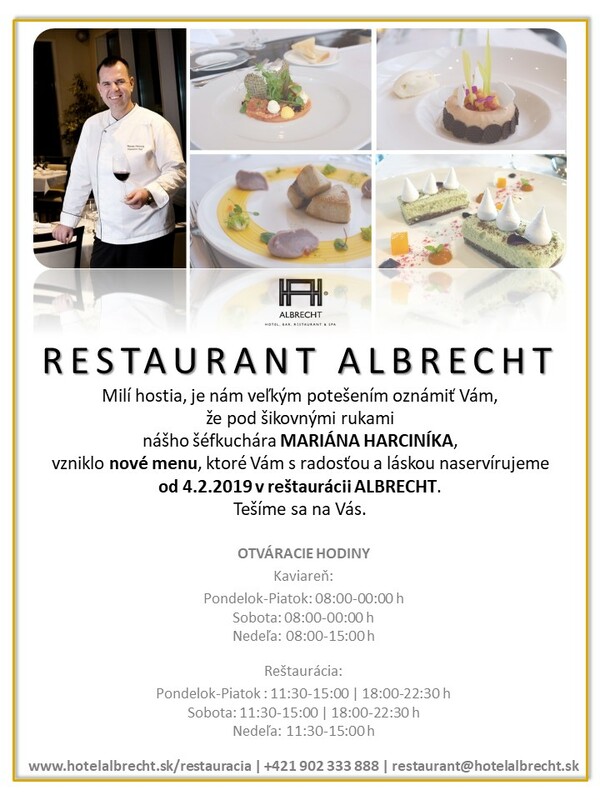 An restaurant named Establissement Albrecht was opened by famous Albrecht family. It immediately became very popular for its tempting selection of wines as well as for its renowned international cuisine and picturesque view of the Danube valley. Today, almost a century later – Albrecht returns to its original tradition of hospitality, this time as the exclusive boutique hotel ALBRECHT. The building in which it is located is a National Cultural Monument. Albrecht is situated in a quiet residential district in the vicinity of Bratislava Castle. The attractive location combines the advantages of easy accessibility to the historic city centre with sought-after seclusion, away from the hustle and bustle of the city. 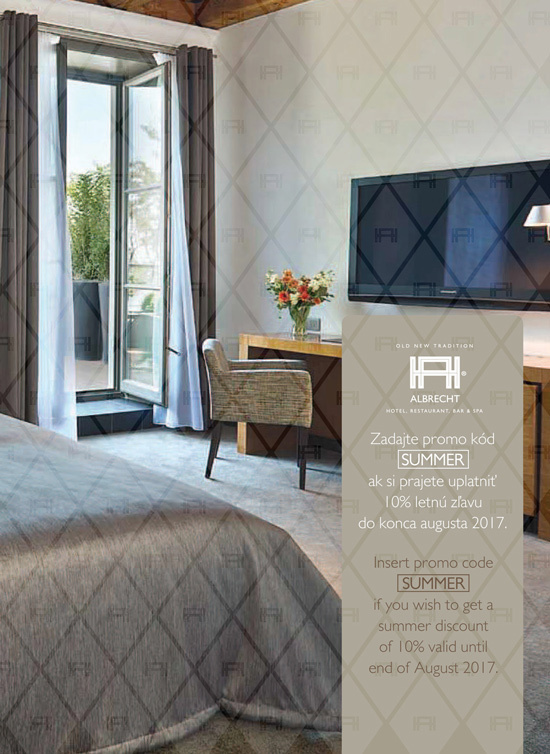 The comfortable and luxurior of the hotel fulfills even the strictest criteria – rooms are furnished in elegant, modernistic style, their equipment includes a minibar, telephone, spacious safe deposit, air conditioning, 42” and 50” plasma TV set, high-speed internet access and DVD movies for rent.